Sign-up and receive Property Email Alerts of Residential Estates in Oaklane Corner, Brakpan. Nestled in Brakpan, Oaklane Corner, a secure residential complex in Brakpan North, located within the popular Oaklane Estate on Hospital Road. 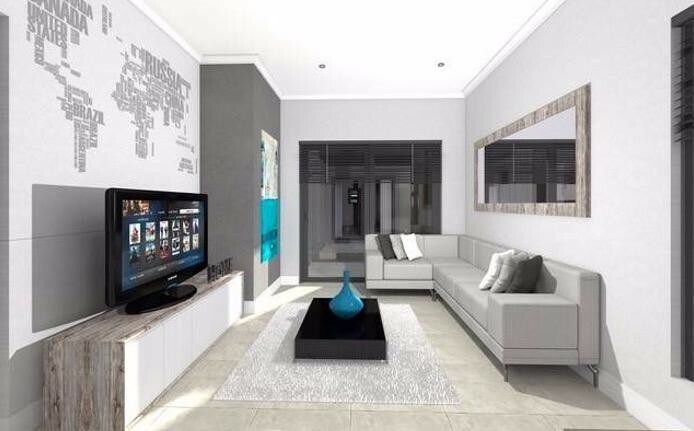 The complex will be made up of twenty two 66 sqm sectional title apartments. 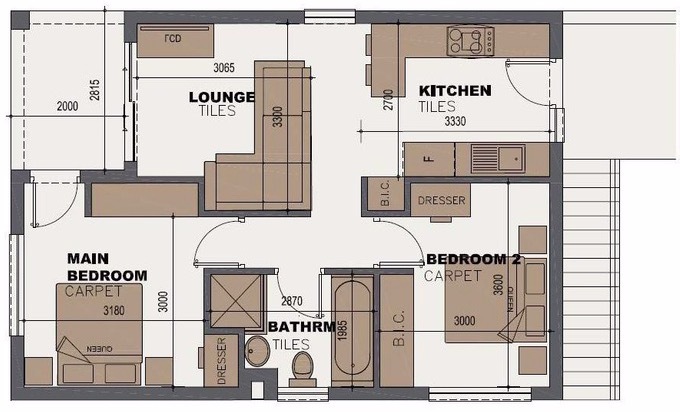 Each unit offers 2 bedrooms with one full bathroom (Bath, Shower & Toilet), each unit has its own carport. The units will have features and specifications including Transfer and Bond costs included, The entire unit will be tiled with ceramic tiles, Fully fitted ceiling height kitchen cupboards with a choice from 4 different colours, Granite counter tops (Rustenburg), Built in cupboards in both bedrooms and Aluminium windows. Residents are secured by the 24-hour security guards as well as access control monitoring all visitors. Oaklane Estate has a park with braai areas for residents use. The nearby Sherwood Gardens Shopping Centre caters for the residents (bread & milk) shopping and fast food requirements with Carnival mall less than 10km away for the serious shopper. Investors can expect a rental amount of R 5,000pm. Local demand for tenants that will come from employees of the Far East Rand Hospital which is a level two, regional Hospital that is situated on the border of Springs and Brakpan. The catchment areas include Springs, Brakpan, Daveyton, Etwatwa, Etwatwa East, Duduzaand Informal settlements surrounding Springs, KwaThema, Benoni and Brakpan. The Far East Rand Hospital Serves a population of approximately 2 million. Mining still forms a large part of the local economy and employs many people living in Brakpan area.